Note: this is an add-on. You must have at least PrivateContent v7 to use it. Mail Actions fills the last missing part of PrivateContent giving you a complete membership solution. Integrates e-mails in each process and allows you to seamlessly sync users with MailChimp, the best way to manage newsletter campaigns. 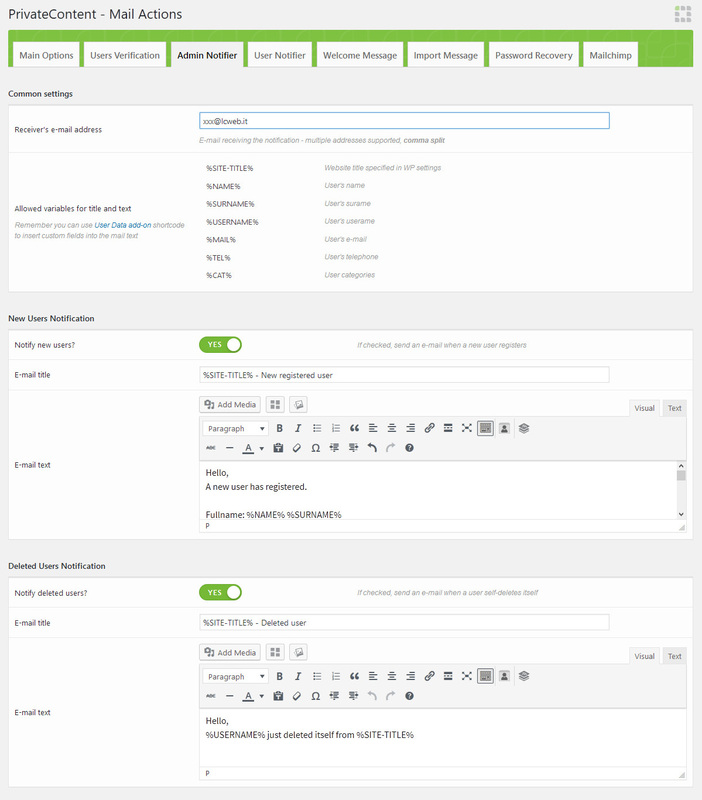 Enable just what you need, each module can be used singly, the only thing required is an e-mail. 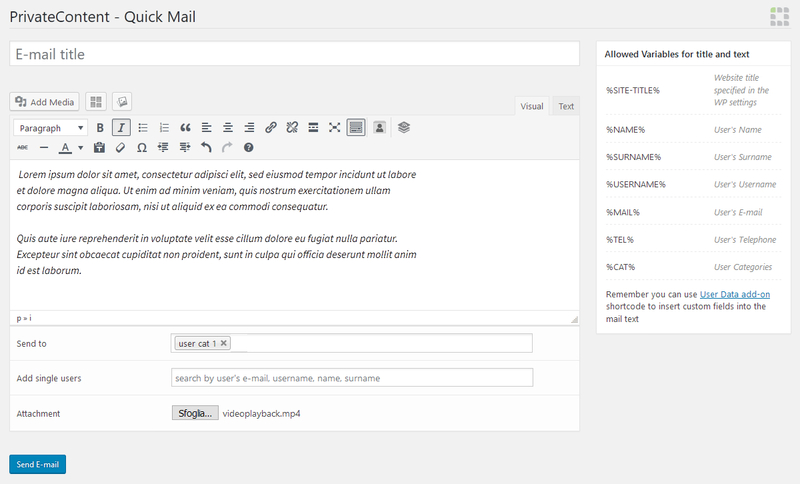 Plus, each mail is fully customizable by you using the handy WP editor! 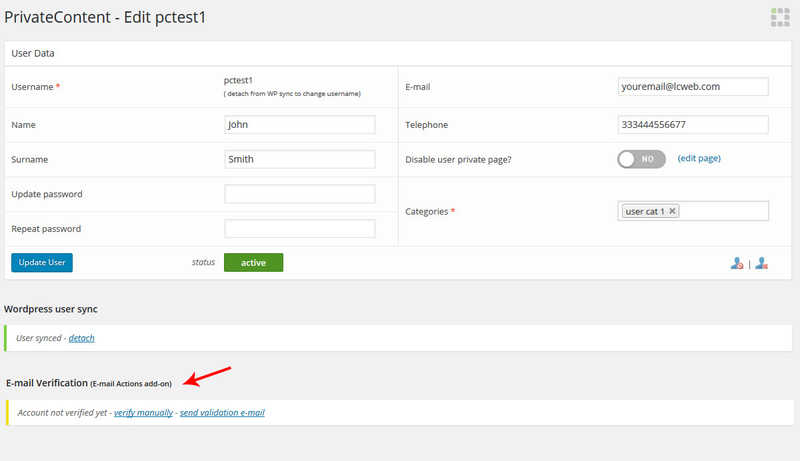 Finally you can also use the User Data shortcode to display custom fields in the e-mail texts! Until now you needed to enable manually users and wondering if e-mails were not fakes. Now PrivateContent does that for you! Enabling this module new registered users will receive an e-mail containing a personal link, pointing to a preset validation page. It will take care of validating them, enabling accounts and adding a “verified” mark. Using this in conjunction with duplicated e-mail block is the best way to build a solid mailing list, composed by trusted people! The most requested feature for PrivateContent was a password recovery system. Finally it has come! 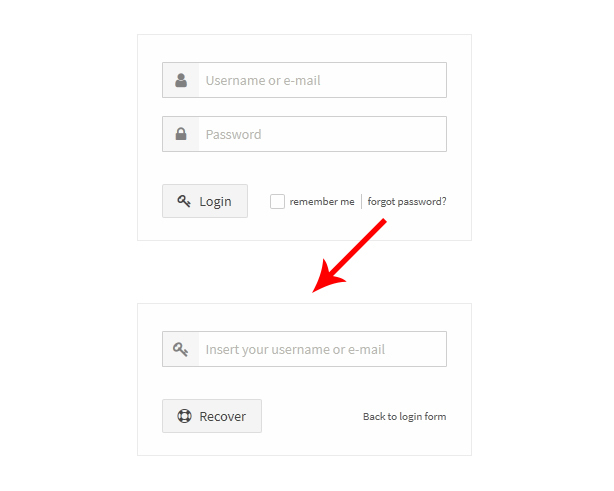 Users with an e-mail will be able to retrieve their passwords simply inserting the username in login form. The system will send to the user a new, safe, password. Automatically! Perform serious newsletter campaigns syncing PrivateContent users with your MailChimp account. The procedure cannot be easier: simply create an API key and a list to use as PrivateContent users container! 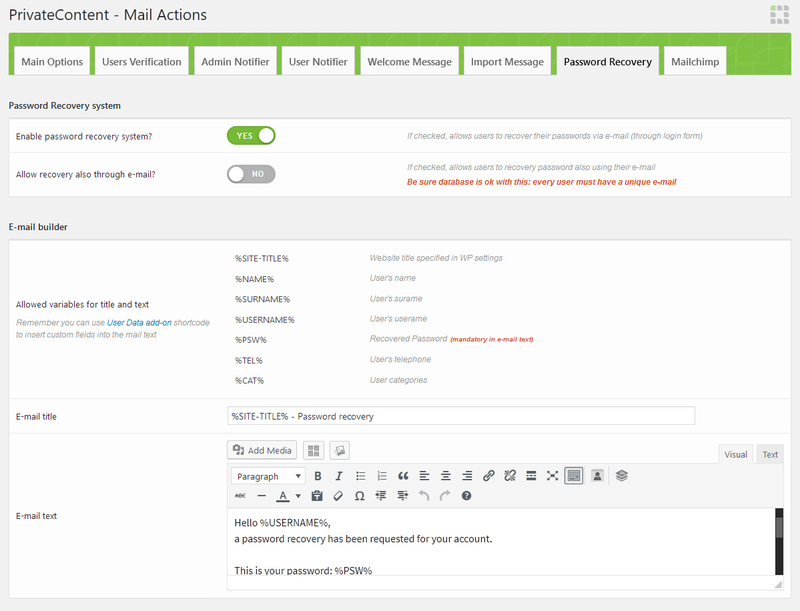 Every user with a valid e-mail address will be synced and, moreover, user categories and custom fields will be synced. Allowing you to send truly targeted newsletters! 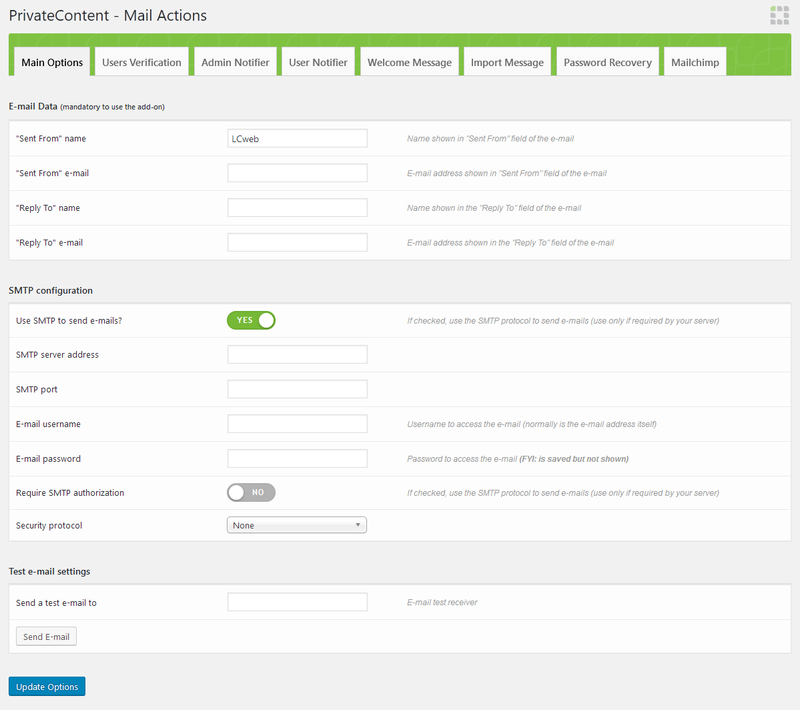 Sync process can be managed manually or automatically, PrivateContent will update the list each time a user is added, changed or removed. But there’s more: a new form’s disclaimer can be used to ask for maichimp’s subscription allowance. And even if they unsubscribe through newsletter, the change will be reflected on your site! Until now the only way to check if new users subscribed into your site was opening the website. Also for users, to check if their accounts were activated was to try logging in. For medium-to-large share websites it is very uncomfortable. 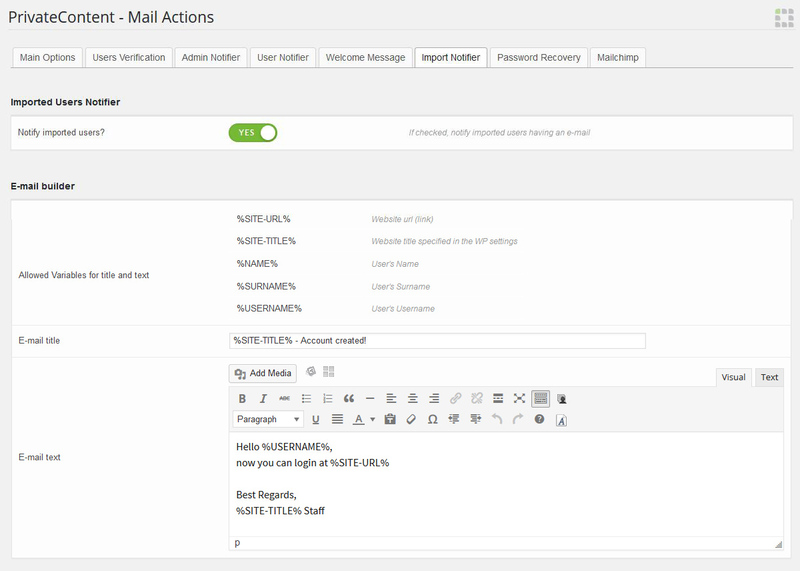 Mail Actions add-on solves these problems, with tools to notify admins when new user registers and notifying users as soon as their accounts are enabled! Plus, admins can also be warned as soon as a user self-deletes itself. Optimize your time and give a better experience to subscribers! Sometimes you need to contact users quickly and have no time to setup whole MailChimp system. 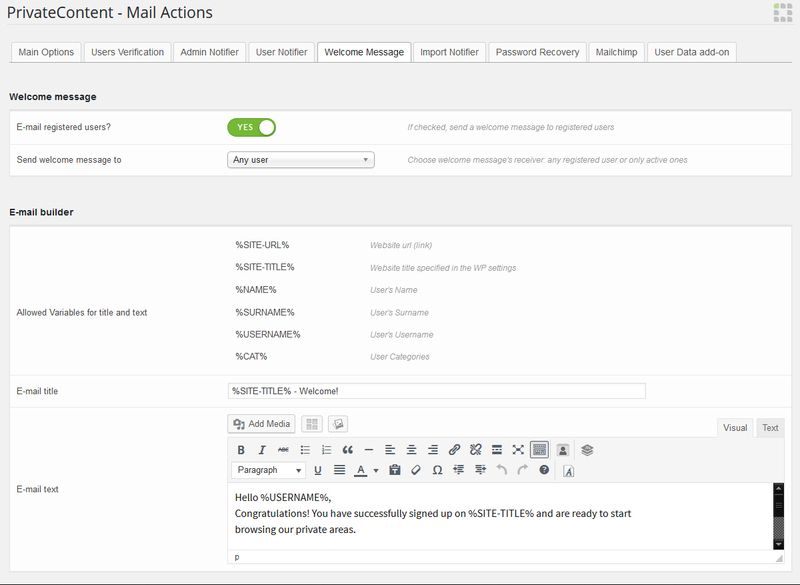 Mail Actions has got a really fast system for this: just write mail title, text and choose which user categories (or single users) want to reach. You can also use User Data shortcodes to display custom fields and predefined placeholders to dynamically get users data. Finally, an attachment can be added! What is the difference between a basic and an advanced platform? How it cares to subscribers. This is why is important to send a professional welcome e-mail to new, enabled, users. An essential tool to perform the first contact with them, maybe inserting registration data, as reminder.